As I slept last night, I had some experiences in the non-physical. First I was watching these big beings that didn't look human coming out of a building. I didn't know what they were. For some reason I asked them if they were angels. i don't know why I asked that because they didn't even look like angels. I don't think they were. I didn't get a clear response from them. I don't know why I wasn't afraid of them, but for some reason it never occurred to me to be afraid of them. I was seeing some building that I was familiar with, but oddly some of the buildings and structures i was seeing shouldn't be there. So I thought I must be seeing into the future. I was with a few people, but I don't recall who, and asked them what year it was. They didn't tell me. This has happened to me many times in other non-physical experiences. I find myself somewhere and something is different which leads me to believe I'm seeing the future or another place, but when I ask where I am or what year it is, I don't usually get a response. Why am I having these kinds of experiences? Are these experiences some kind of test? I think it was the book OtherWhere that talked about how guides test us. They put us in an environment to see if we'll become lucid or continue to lose ourselves in the dream. Maybe they are showing me some buildings that are familiar to me and then mixing in some that are out of place to see if it triggers me to become lucid or whether I keep dreaming. Is this normal for guides to test us like that? Then I found myself in the presence of a female being who was whisking me off to another place. I have heard about this happening to other people in astral projection books. I asked if she was my guide and she said yes, and told me her name which was something like DeDe Jean. It's about freaken time I had a guide introduce themselves. I was beginning to think I didn't have a guide. She took me to a spot that was hard to describe. It was like I was on a roof but it was a closed in area. There were lots of plants around and I noticed a paint roller in my hand. I thought - I know what this is, it's a test to see if I lose myself in the dream imagery or whether I become lucid. I also remember that book talking about how your guides will put you in a closed in place and see if you can make it out of the place or whether you get lost in dreaming. If you make it out of the closed in space you are free to travel in OtherWhere - non-physical locations outside the dream zone. Knowing that it might be a test, I saw a door and I was going to try to leave the closed in space, but then I woke up. Anyway, why am I just now seeing a guide when I haven't before? And why are they now starting to test me? Why are you seeing/meeting a guide now? Because you are ready to. Why are they "testing" you now? Because that is what they do. It's their form of teaching/training us. Take a look at this thread here. It explains this concept a bit further. By the way you realized it was indeed a test, shows that you also "passed" that test. Get ready for more to come! I actually forgot something else that happened. For some reason, reading that post jogged my memory. At one point in the non-physical there was this thing in front of me. It had legs and arms, but no head, hands, or feet. I don't know what it was - it didn't look like an actual being. But for some reason it kept clinging to me. I would try to push it away and get it off of me, but it just kept sticking to me like a magnet. Reminds me of one of Robert Monroe's experiences. Is that a test too? I would need to understand a little more context with this last experience to offer an opinion, but a few ideas come to mind in general. If it reminded you of "Negs" or some of Monroe's early bothersome experiences, then maybe that is what it was- a kind of vague, shapeless energy that had a nagging tendency to cling to you. Maybe it represents some lingering beliefs that you need to let go- fear, distraction, doubt, etc. You mentioned in the earlier experience that you were surprised that you exhibited no fear of the large beings. This is a good insight but may in fact indicate that a little fear still remains. You are in the NP so know that you are safe and protected and go fearlessly. It seems this certainty is slowly sinking in, lol. Keep in mind that in the NP these are energy streams and fields of energy that we are encountering and we will all interpret this energy somewhat differently and personally. 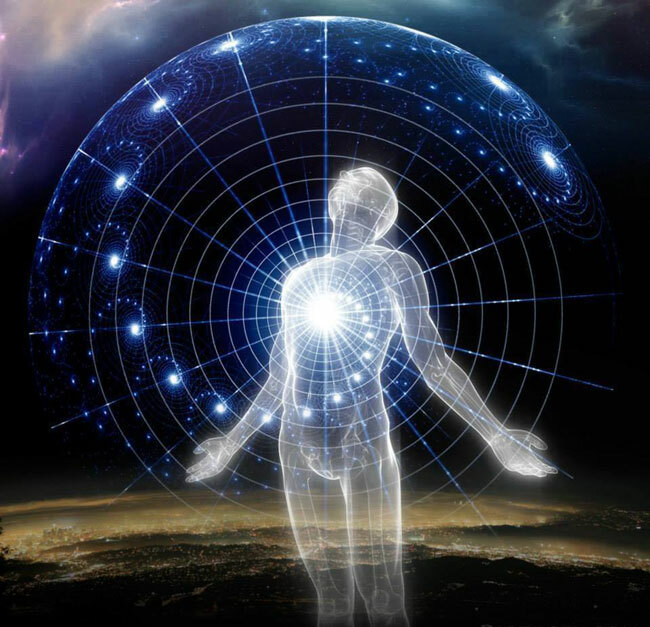 You may soon get a brief experience, a few seconds, where your vision may expand to see/feel the underlying energy patterns/currents and that knowledge is another step up; I've had it a few times and it's really cool; wish I could do it on command, lol. Leland makes the point that if you are in an environment and not understanding it's purpose or function that you can simply ask aloud or mentally and expect to get an answer. I still haven't programmed myself well enough to remember to do that and been left wondering many times. Is everything a test in the NP? Probably not, but it may as well be...how are we to know the difference? Part of the fun, I guess. Good work! Sounds like you are making progress! Be sure to express your gratitude for the education in some fashion, a little appreciation never hurts. when it comes to pushing the neg thing away, i had a dream where it was simalar. I realized that the intent pushing was making it stay more so to speak. So i was just kinda waiting with intent of it stopping, and it did. I'll try that next time. Trying to push it away from me wasn't doing any good.